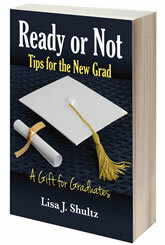 Ready or Not, Tips for the New Grad is a winner in the category of “Gift Books” for the 2014 National Indie Excellence Book Awards and a finalist in the category of “Career” for the 2014 Next Generation Indie Book Awards. 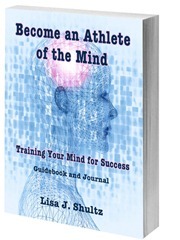 Lisa Shultz combines her life experience of challenges and successes with the messages of influential teachers, books, and courses to create this gift book for graduates. Easy-to-read nuggets of wisdom on topics of Health, Finances and Work, Play and Leisure, Spirit, Relationships and Love, Community and Service, and more. Gain control of your mind and stop sabotaging yourself! Your mind has its own agenda, but when you train your mind, you can drop the unsupportive thoughts and negative patterns that prevent you from getting where you want to go. When you “become an athlete of the mind” you’ll be on the path to more success in your life. How to Bring Your Book to Life This Year! For more information, visit the website Self-Publishing Experts.com. 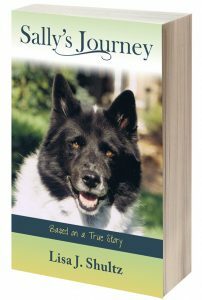 Lisa Shultz takes you on this journey from the moment she finds Sally until she has to let her go. Emotional and entertaining. May we all remember to forgive quickly and love deeply just like Sally! Click here to purchase on Amazon on Kindle or Paperback. Please visit “Speaking Your Truth Book“ for more information. Hear me talk about the project. Please visit “Speaking Your Truth Book” for more information. “I was overwhelmed by how courageous and vulnerable these truly remarkable women have made themselves—for a chance to change someone else’s life.” – Dr. Jeanine ZinnerHealing, Loss, Self-Discovery, Defining Moments and Relationships are the topics covering Volume III of “Speaking Your Truth”. Personal stories are the foundation for our connections to others. No matter what you have experienced in in the past, nor what you are up against today – these stories will uplift and inspire you every moment along the way. 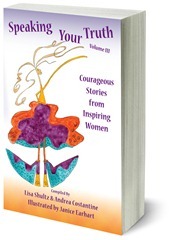 In “Speaking Your Truth” you’ll find 42 individual stories written by women for women. 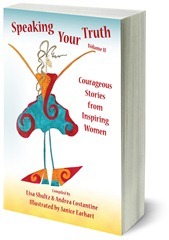 Their stories provide inspiration and heartfelt truths, some of which have never been shared before.Purchase OnlinePlease visit Speaking Your Truth Book for more information. 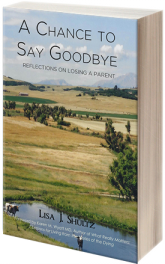 Lisa Shultz is a contributing author to this book. Journey through the minds and lives of 40 global women leaders as they share their stories of passion, purpose, love and service in this revolutionary anthology. 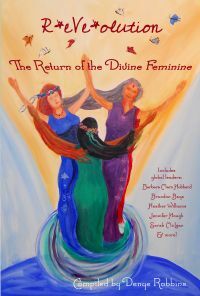 In R*eVe*olution ~ The Return of the Divine Feminine you’ll be inspired, moved, and motivated to transform the YIN energy and divine feminine in your own life. 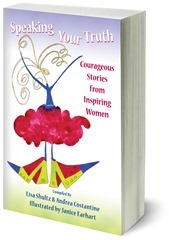 Lisa Shultz is a contributing author to this book. 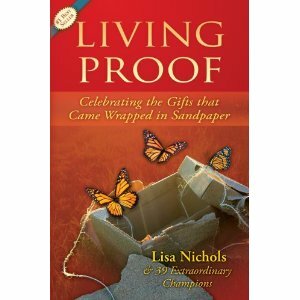 Lisa Nichols presents more than 35 transformational true stories of ordinary people who made the extraordinary decision not only to survive difficult challenges, but to embrace the blessings of their experiences—the gifts that came wrapped in sandpaper.